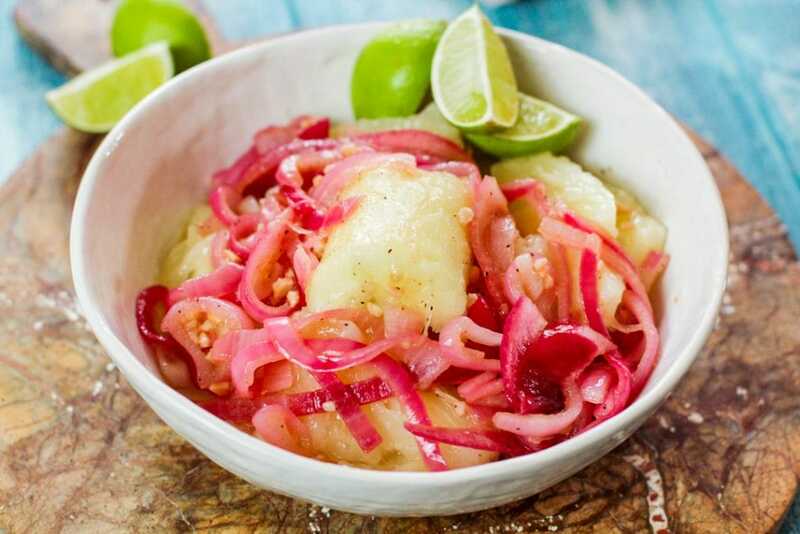 Tender yuca with a pickled onion mojo marinade is the perfect Latin side dish! 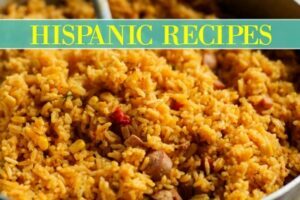 Loved in Cuba and throughout the Caribbean community, this cassava dish is simple and bursting with flavor! Yuca, known as cassava is a root vegetable. Yuca grows in tropical regions such as South America. There’s a hard skin on the outside and the ends need to be trimmed, then with a sharp knife, you peel the sides, like a potato. What does yuca (cassava) taste like? The taste of yuca is like a potato in taste and nutrition. It is more fibrous than potatoes. 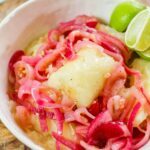 There is a slight flavor change that I can’t describe, yuca is more delicate in flavor than potatoes, which makes it perfect paired with pickled onion mojo. 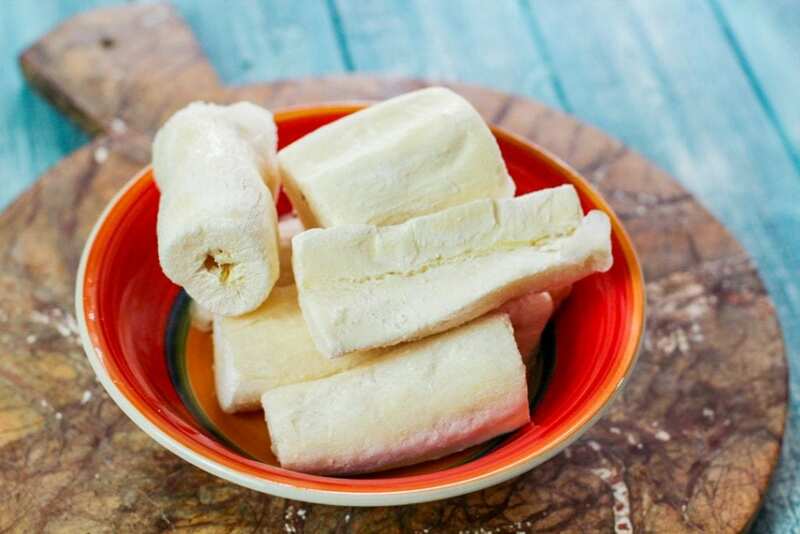 What can you make with yuca (cassava)? So much, yuca is versatile, like a potato. So you can make yuca fries, yuca pasteles, and I once had this delicious yuca ham and cheese filled roll at a wedding that was insanely good! However, like a potato, it is pretty versatile, but in my opinion yuca con mojo is the classic and best way to eat cassava. Where do you buy yuca? In the United States, yuca will be labeled as cassava in the supermarkets and farmers markets. Most major supermarkets are beginning to carry cassava year round, but you may have to travel to either a Latin supermarket or an Asian supermarket, if your bigger supermarkets do not have them in stock. 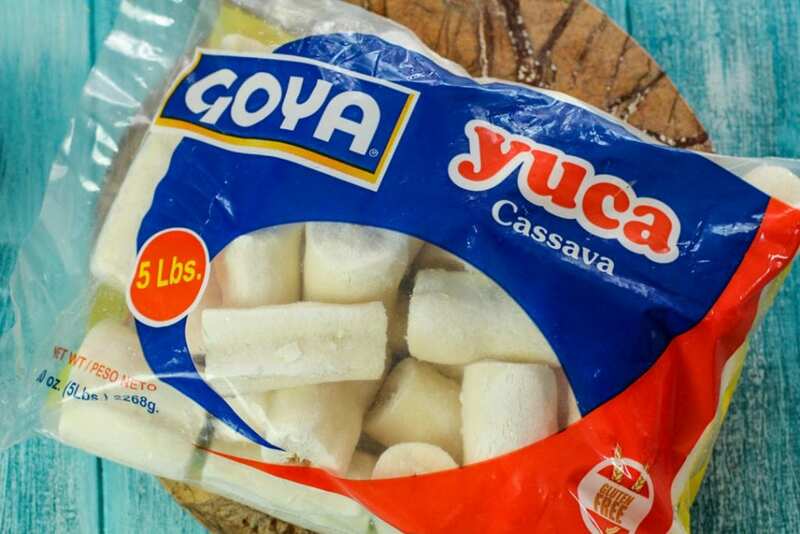 Also, if there is no fresh yuca, you should definitely check the frozen food section of your supermarket for International brands, and where Goya is, they may have the pre-peeled and chopped yuca in bags! 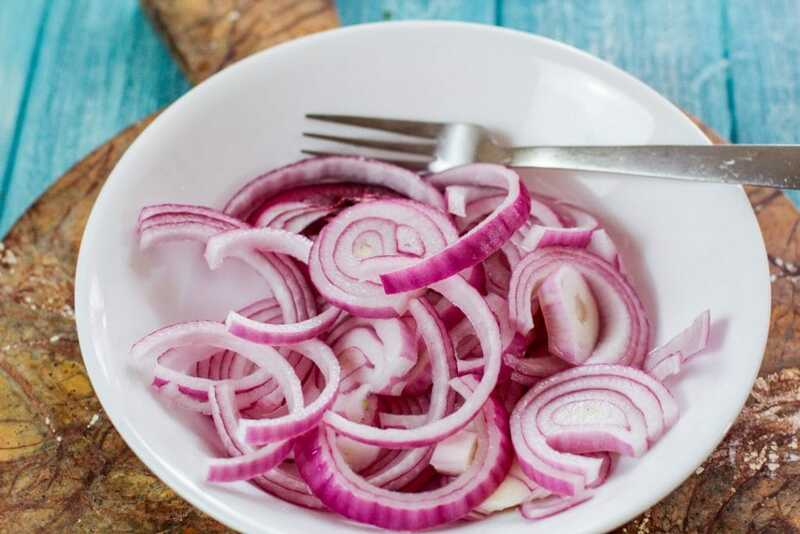 Before cooking your yuca, have your sliced red onions sit in a bowl with vinegar to marinate while the yuca is cooking. This gives the onions an amazing pickled tasted. Salt your water! Taste the water to make sure there is enough salt before adding in the yuca. Crush your garlic! When making the mojo, having some crushed (in a mortar and pestle, or with the back of a spoon or knife) garlic adds amazing depth to the mojo! You can also use minced garlic, if you realize you’re out of fresh garlic. Just NO GARLIC POWDER. Remove the fibrous stems before serving. You can also remove them before cooking, I find it is easier after. The stems can not be eaten, and can be a choking hazard. Don’t be worried, it seriously is like an apple stem, peels right off. The star of yuca con mojo is the mojo, which the onions will be the star. To ensure the greatest mojo, we will soak the onions in white vinegar. I used red onions for photography purposes, but if you want to use Spanish onions, that is completely fine too! 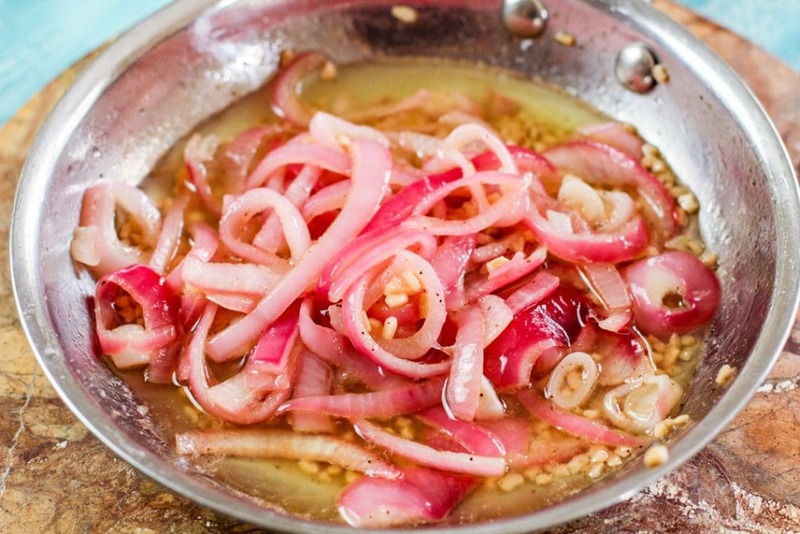 Put the sliced onions with vinegar in a bowl and set it to the side before starting the yuca. When there’s about five minutes left of the yuca needing to cook, I like to start making the mojo sauce. 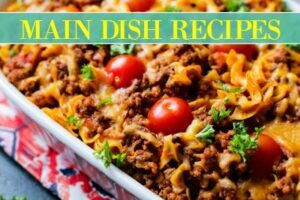 You’ll take a medium pan, add olive oil, the onions with the vinegar sauce, add it into the pan, cook for a few minutes until the onions begin to soften a little and add the remaining ingredients for the mojo. It is so good! You have the heat, salt, and acid in it! So yummy. For an amazing side, pernil has ALWAYS been our pairing of choice with yuca con mojo. As soon as the yuca is tender, drain it, place it into a large bowl, and pour the mojo marinade over it. 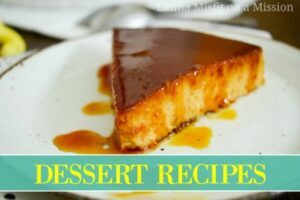 Gently toss it to coat, and serve! 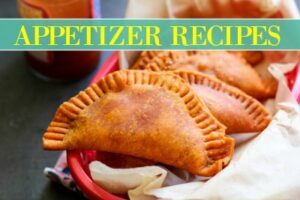 If you’re serving this to children, pull out the fibrous stem from the center of the yuca first! 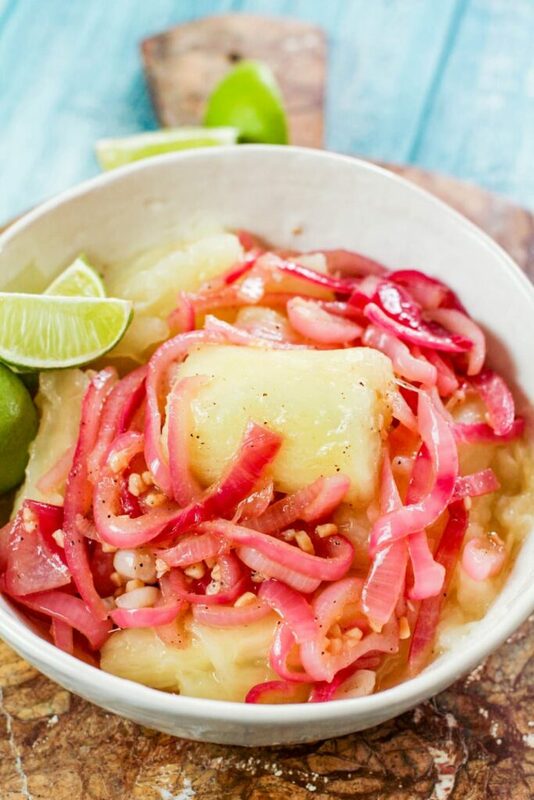 Tender cassava and pickled onions create the perfect Cuban yuca con mojo! In a bowl, let onions and vinegar soak. Bring water to a boil and add in yuca. Lower heat to medium high for a steady simmer and cook for 20-25 minutes, or until fork tender. During the last ten minutes of the yuca cooking, heat oil in a medium pan over medium heat. Add in onions and reserve the vinegar. Cook onions for five minutes and add the remaining ingredients, including the reserved vinegar. 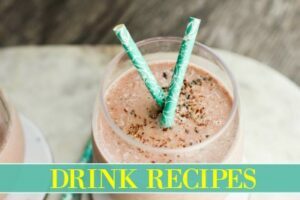 Cook for an extra minute. Drain the yuca once tender and immediately add the cooked onions with the sauce over the yuca. Gently toss to coat and serve.